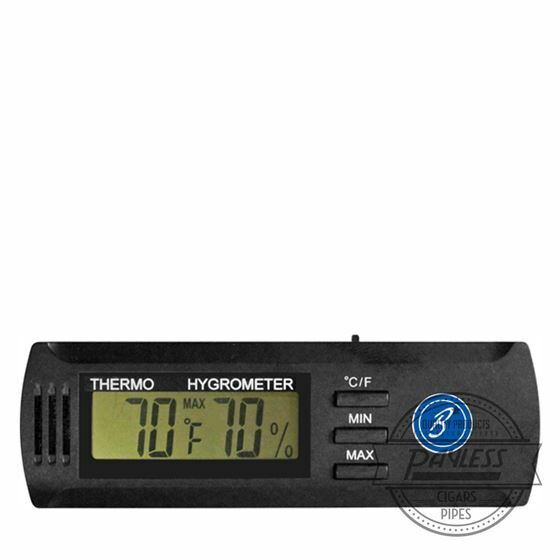 The Brigham Slim Digitial Hygrometer is the perfect form factor for almost any humidor. With the large display you will always know how your cigars are doing! Instructions and batteries included.